This follows on from overnight restrictions for customers yesterday from 7pm last night and 7am this morning. WATER PRESSURE WILL be reduced again this evening for homes and businesses across the greater Dublin area, but for 10 hours compared to 12 last night. The pressure going into homes and businesses will be reduced for 10 hours tonight – from 8pm to 6am. Irish Water says full supply from the reservoirs was restored at 7am. Jerry Grant, managing director of Irish Water, said yesterday that the measure was necessary in the wake of damage to the system caused by the severe weather. “Despite the huge effort that has been made … we will have significant numbers of people with water restrictions over the coming days and probably weeks,” Grant said. Tonight’s restrictions will come as 23,000 homes and businesses remain without water in the aftermath of Storm Emma and and 39,000 have restricted supply due low levels in reservoirs. Irish Water said these numbers are subject to change as more bursts and repairs occur. Speaking this morning, Irish Water’s Eamon Gallen said it may be the middle part of the day before some Dublin households were back online after last night’s restrictions. “Unfortunately at certain parts of the network people will be affected more than others and we do apologise for the inconvenience caused,” Gallen told Morning Ireland. The majority of people should have reduced water but some, depending on where they are on the network, whether they are on the end of a pipe, do get impacted and unfortunately that’s very hard to manage. Hospitals on the Dublin network will be prioritised during the pressure restrictions and will have water diverted to them. As the thaw continued, Irish Water was now better able to get an emergency water supply to the areas that need one, he said. A ‘do not drink’ order has been issued for people on the Fethard public water supply system in Co Tipperary. Water tankers are being supplied to the area. Irish Water’s customer care line can be contacted at 1850 278 278. 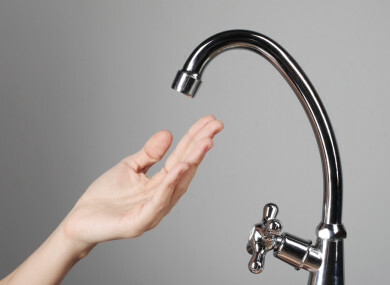 Email “Water pressure to be reduced in greater Dublin area again tonight from 8pm until 6am”. Feedback on “Water pressure to be reduced in greater Dublin area again tonight from 8pm until 6am”.